GOLD COIN and bar buying in Iran is likely to rise as a result of President Trump withdrawing US support for the nuclear non-proliferation deal with Tehran according to leading bullion-market analysts. 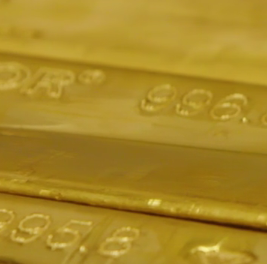 Already the "stand out" country in the Middle East, Iran is expected to see a rise in "safe haven purchases" of gold "due to heightened tensions with the US," said consultancy Metals Focus last month. "We therefore forecast Iranian physical investment to rise by around one-third in 2018." 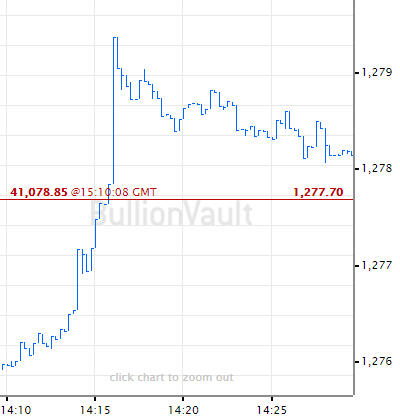 Trump's action saw the Iranian Rial fall Wednesday to new all-time lows on the foreign exchange market, pushing local gold prices higher again for private households. Iran's consumer gold demand – steadily recovering from multi-year lows since the easing of economic sanctions against Iran following the 2015 agreement – has already shifted towards bar and coin thanks to a 9% VAT sales tax on jewelry imposed last year. Gold coin and bar demand leapt 2.5-fold between January and March compared with the first quarter of 2017, while gold jewelry consumption fell 16% said Bloomberg last week, citing data from the mining-backed World Gold Council's latest Gold Demand Trends report. The Central Bank of the Islamic Republic of Iran today said it will sell 5.9 million of its 8.1 gram 'Spring Freedom' gold coin – the 90% fine Bahar Azadi – by the end of this financial year in March 2019. Close to 0.8 million pieces have already been pre-bought and are now set for release, a CBI spokesman said. "This is expected to deflate the bubble in gold prices," says Iranian business site Financial Tribune. 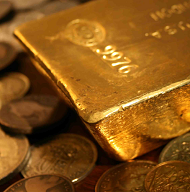 Data from the Tehran Gold and Jewelry Union on Wednesday showed the price of Bahar Azadi gold coins trading at a 52% premium to global US Dollar quotes for wholesale bullion. 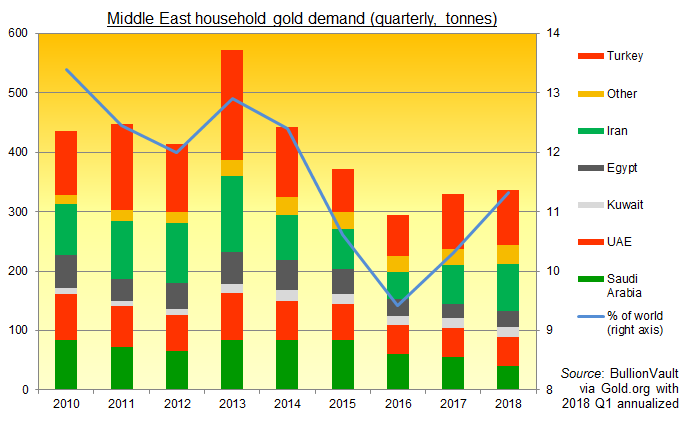 For Middle Eastern household gold demand, "Iran was a stand out in the region again last year," says this week's new Gold Survey 2018 from specialist analysts Thomson Reuters GFMS, "enjoying a 13% annual rise, the second consecutive double-digit increase in as many years." New jewelry fabrication rose 10% from 2016 thanks to better economic and household income growth, says GFMS, while investment demand for bars and coin rose despite "greater stability" in Iranian politics following Hassan Rouhani's re-election as president last May. Seen as a "moderate" among Iran's theocratic leaders, it was Rouhani who agreed the nuclear deal with the US administration of Barack Obama in 2015. Official coin minting more than doubled in 2017 to 6.3 tonnes, but remained well below pre-2016 levels after the Central Bank allowed only limited sales to the public following "to help curb money laundering and prevent tax evasion" explains Metals Focus. "The US's breach of duty will not interrupt Iran's foreign exchange needs or provision," said Iran's central bank in a separate statement on Wednesday, adding that it "has long thought about America's anti-Iranian offensive, and a series of measures has been taken. "The country's banking system, based on the central bank, has the full ability to meet all the country's currency needs...controlling the flow of foreign currency inflows and outflows [and] supporting national production." 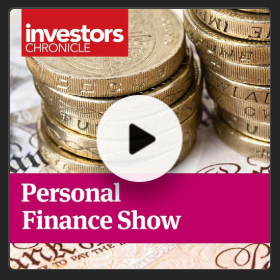 Last month the CBI set a limit on how much foreign currency private citizens can hold outside the banking system, setting a cap equivalent to US$12,000 with legal action promised against anyone failing to sell down their holdings for Rial.